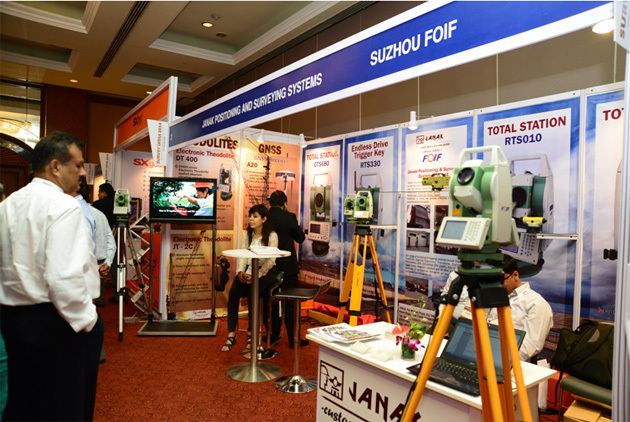 Janak and FOIF at Survey india 2014 | Suzhou FOIF Co., Ltd.
Janak positioning and Suzhou FOIF Co., Ltd. showcased the range of products including high precision total stations, GPS/GNSS systems, high precision levels, etc at Survey india 2014 which was held at Hotel Eros (Hilton), New Delhi on 9th and 10th July. The products on display included RTS010 high precision total station, RTS360 WinCE total station with endless drives, RTS330 Total station with endless drives, GNSS/DGPS A20/A30, GIS/GPS F52G, GIS/GPS F50-A, etc. 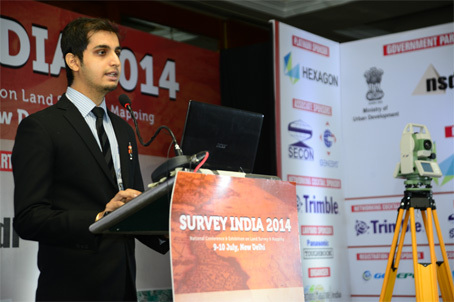 Our distributor, Janak Positioning also exclusively gave a presentation on New technology and new products launched in 2014 which more than 100 people attended. Some of the attendees and speakers includes Tarun vijay, MP, Govt of India; Dr S Subba Rao, Surveyor general of India; Mr Atul kumar, chief GM, NHAI; Mr KK Gupta, executive director, RITES ltd.